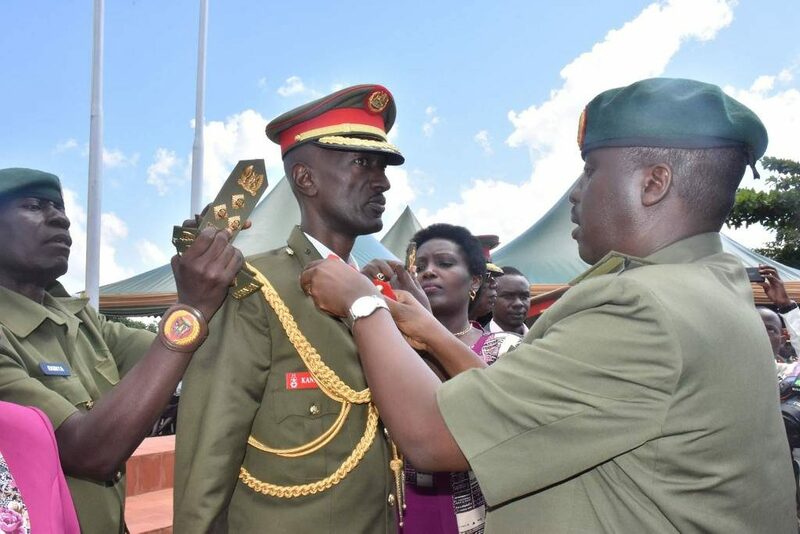 MBUYA – Uganda Peoples’ Defence Forces (UPDF) officers who were recently promoted, will Tuesday, February 19 be decorated at UPDF Headquarters in Mbuya, Kampala, confirmed, Army Spokesman, Brig Richard Karemire. Museveni also promoted his son, Muhoozi Kainerugaba to the rank of Lieutenant General. Muhoozi is now one rank below his father. Lt. Gen Kainerugaba has been a major general since May 16, 2016 when he was promoted from the rank of Brigadier shortly after Mr Museveni was sworn in as president following the highly contested February 2016 general elections. About 100 of the officers were promoted to align with establishment appointments, 97 were promoted due to retirement, 130 were promoted for long reckonable record of service and 49 after successfully completing Grade II staff course. Those who were promoted to the rank of general include Lt Gen Ivan Koreta, and Lt Gen Joram Mugume. The others are Pecos Kutesa, John Mugume, Proscovioa Nalweyiso, Charles Awany Otema and James Nakibus Lakara. The Deputy Inspector General of Police, Brig. Sabiti Muzeyi was been promoted to the rank of Major General while the commander of Land Forces, Maj. Gen. Peter Elwelu was elevated to the rank of Lieutenant General. Army Chief of Staff, Brig. Leopold Kyanda was promoted to the rank of Major General.